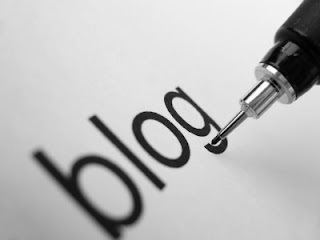 Before starting a blog It is very important that you have a creative blog name or domain which can attract visitors. A domain plays a very important role in a blogs popularity, The name should be easy to remember and should perfectly suit you blog. Try avoiding odd names and names which are difficult to pronounce or sound horrible. If you are starting a new blog or looking for good, creative blog name ideas then to help you here are some Blog Name Generators. Also See: 10 Things to Do After Starting a New Blog. Wordoid is an awesome blog name generator which will help you generate creative names for your blog. It supports multiple langauges which means it can generate blog names in languages like English, Spanish, German, French etc. You can also tell wordoid to generate blog names containing certain keywords for example: Tech. With Wordoid you can also control the character limit on the blog name by setting the maximum word length. Wordoid also lets you generate blog names which sound natural, You can also tell wordoid to generate hardly natural blog names by changing the setting. Wordoid is the best blog generator and it's Free. NameStation is an another popular blog name generator. Just like Wordoid, NameStation also allows users generate blog names containing keywords. You can also generate random blog names with this online service. The only con of this online service is that you'll have to register for a free account before using all its features. This is a cool online service which generates blog name ideas. This service is easy to use, What you have to do is just select any one of these two options- Funky, Formal and hit Generate. Each time you hit generate the tool will generate two random titles which can be combined for creating a blog name. This service is best when you have no idea about the blog name, Just keep hitting generate until something strikes your head to be the next big thing. NameBoy is another cool but not so popular blog name generator which allows users to enter two keywords and after you hit generate, It mixes the two words and brings up a list of creative blog names. You can select additional options for better results like 'use hypen' or 'rhyme' etc. This service is free and does not require registeration. If you have no idea about the blog name then this Generator is worth giving a try. Online Generator is a Random blog name generator which does not have any settings, Just hit the Generate button and A unique name appears. Keep hitting generate and Online Generator will keep suggesting different blog names. These were some awesome Online Generators which can help you generate unique and creative blog names which will surly attract visitors. Please do give them a try and let me know by leaving comment. Also See: 10 Common Blogging Mistakes to Avoid When Beginning.